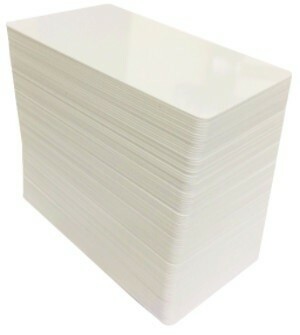 PVC Adhesive Card | Quality made by us. Strong stable adhesive. 580 Micron thick and is 400 Micron without the adhesive and backing layer. Stable strong adhesive and quality grip backing paper. The PVC Adhesive Card is 580 Micron thick and is 400 Micron without the adhesive and backing layer. A standard card is 760 Micron. 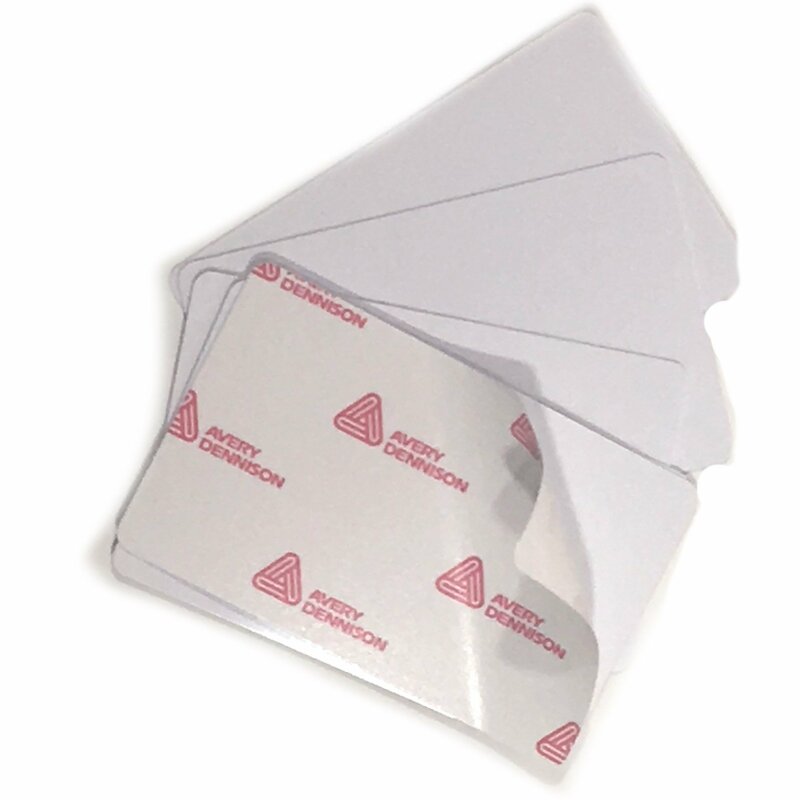 Our Adhesive Cards have clean edges, stable glues and a non slip backing and once you’ve bought cheaper cards you will know what that means and why we have added this here. Basically cheaper glues can gum up a printer and slippery backing papers can cause heavy reject volumes when you’re printing. 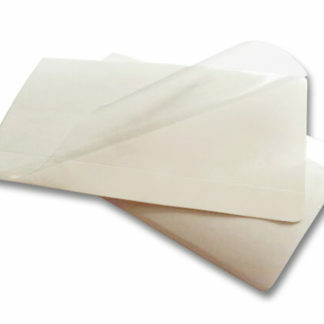 Adhesive card is used for most RFID card reprinting applications. IE reusing old expensive RFID cards with new user data. This excellent quality, locally manufactured product can be used for all direct to card thermal printers. Once printed you just peel off the backing layer and stick it to a RFID card for re-use purposes.